Home Entertainment & Sports How Soccer Athletes Can Recover Properly? How Soccer Athletes Can Recover Properly? Like many other sports, soccer requires us to develop mobility, power, strength and cardiovascular conditioning. Our body may have gone through profound effects through those soccer training sessions. There are ways we can do to get better and we could come through different channels. For example, we may focus more on technical skills and our coach could give insights on how to achieve better end results. We can assume that stamina, strength, agility and speed are essential. Our skill sets could also be adjusted based on specific deceleration and acceleration techniques. However, recovery is probably one part of soccer training that’s under researches and least understood. Although it isn’t filled with actual technical training to improve our soccer performance, it is an essential part of our soccer training. In general, we should always look for ways to get fitter, better and even more explosive. Recovery is essentially the ability to meet performance standards after injuries or demanding physical activities, such as a long match during a tournament. 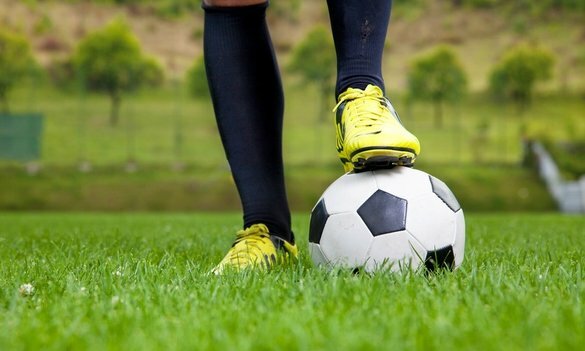 Soccer players are often expected to play almost each day and the gruelling schedule requires proper recovery sessions. Proper recover have direct effects on our performance if we do it correctly. As an example, we could check our performance graph and it is likely that we perform well after we have a successful recovery session. There are many factors that can be associated with recovery and this could include proper nutrition intake. Studies show that food dense in protein and carbohydrate after significant physical activities could give the most benefit. This may include pasta with chicken and turkey sandwich with whole wheat bread. Other thing to consider is rehydration and it is preferable if the liquid contains some sugar and minerals, such as potassium and sodium. Some sports drinks are endorsed by experts and they should suffice for our requirements. Tapering is a recovery technique that’s performed by many clubs and coaches around the world. By breaking the rhythm of the training, athletes could actually get more improved. In general, tapering is about reducing the intensity and training volume and this could allow for more consistent recovery for specific time of the week. In general, this could result in ten percent improvement in training performance. During the recovery session, many people also use compression clothing to eliminate swelling and any inflammatory response. This could reduce soreness and people can improve their training intensity after a few days. During recovery session, it is also important to cool down. Obviously, we are hungry, dirty, sweaty and tired after training and we are not feeling about stretching. However, the cooling down process is needed to make sure that we recover properly. Intense exercises actually cause micro tears and other kind of damages to our muscles. In this case, our overworked muscles are in dire need of sufficient blood flow, so they can get nourishment and oxygen. By stretching actively and passively, we could get an immediate relief. Previous PostWhy We Should Avoid Quick Fixes? Next PostHow To Self-Hypnosis To Achieve Optimum Performance In Sports?